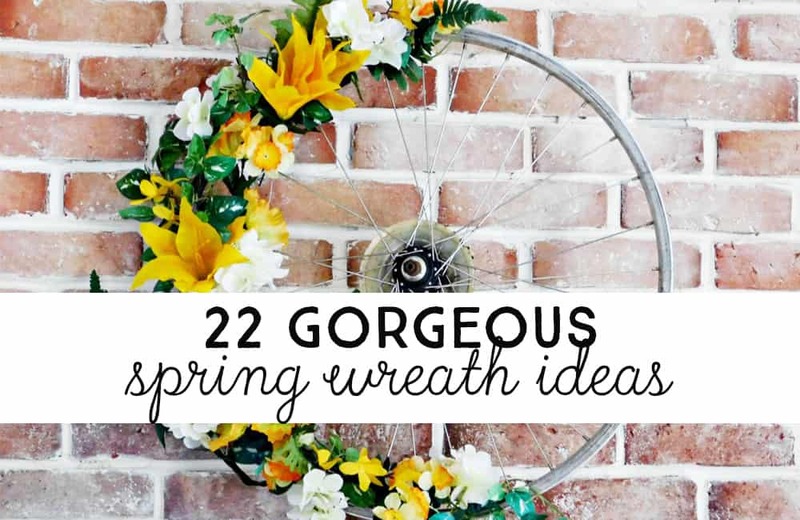 Take a look at the gorgeous DIY Spring Wreath Ideas we’ve collected and create one to decorate your own home this Spring. From Modern Farmhouse style to whimsical birdhouse wreaths, to wreaths made entirely of paper, you’re going to find one you can’t wait to make. 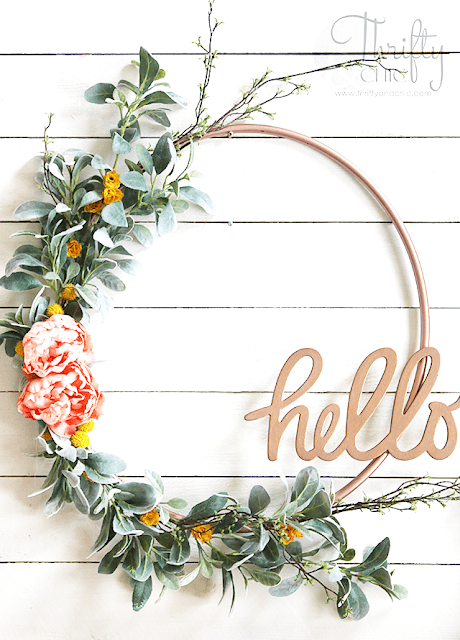 We love the modern farmhouse look and this farmhouse style spring wreath from The Craft Patch is just begging to be made. 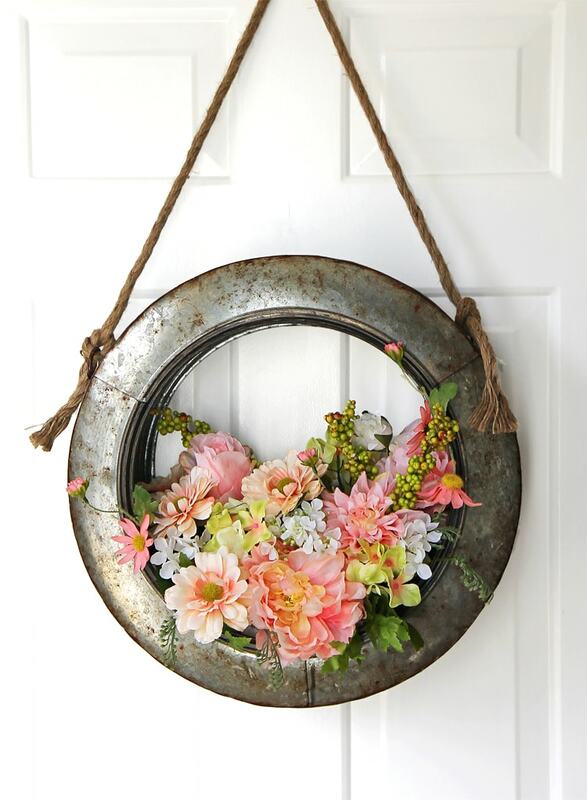 I love the contrast of the old rustic tire holder paired with the fresh bright flowers. 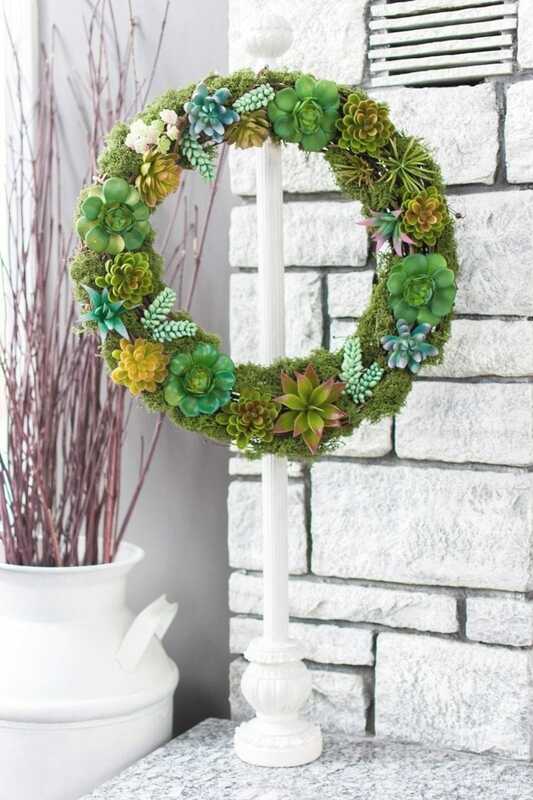 Succulents are still in and this succulent wreath looks amazing. Check out the tutorial from The Navage Patch to see how simple it is to make using artificial succulent plants and deer moss. 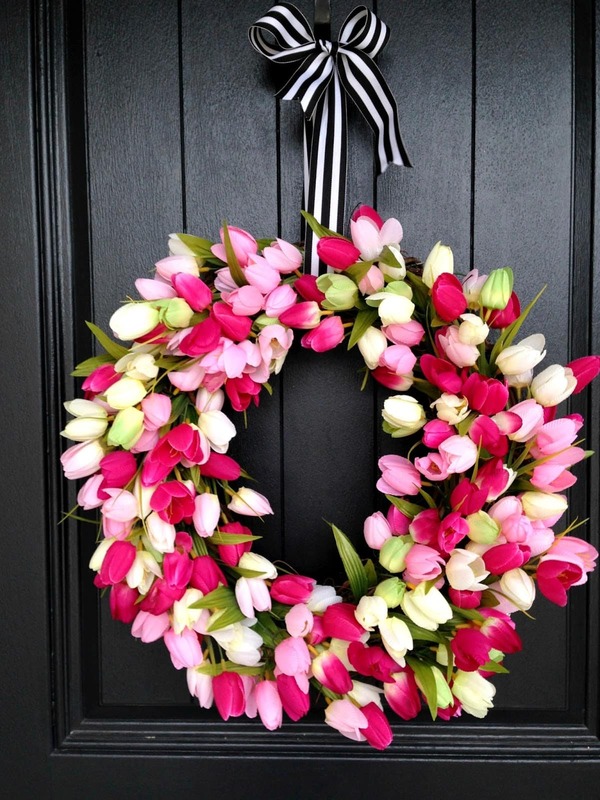 Make a beautiful bold statement with this striking tulip wreath from Life Love Larson. 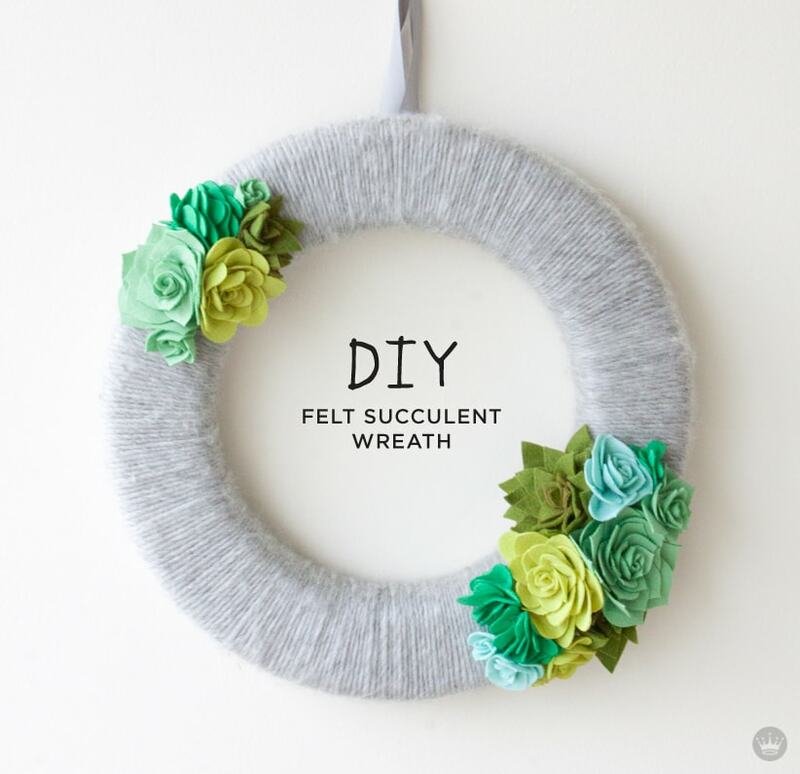 Check out Think Make Share blog for instructions and felt succulent templates for this gorgeous felt succulent and yearn wreath. 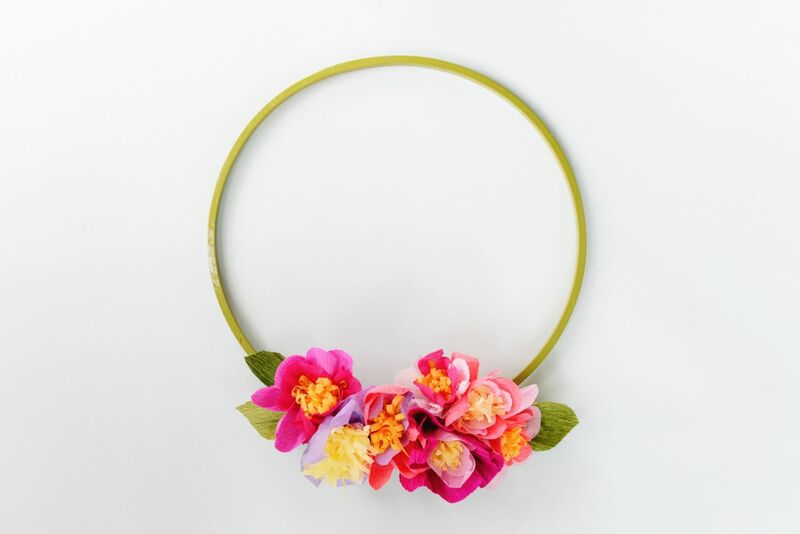 Felt flowers in soft Spring colors, an embroidery hoop, and a hot glue gun are all you need to craft this lovely felt flower spring wreath from Craftiness is Not Optional. 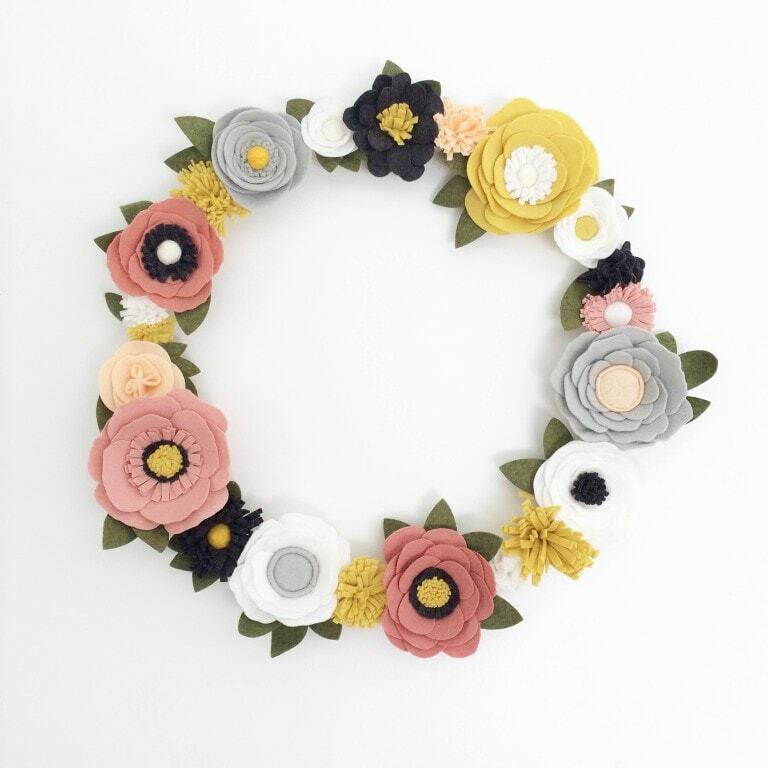 Felt flowers have a modern look when attached to a metal wreath frame. Check out the Oriental Trading blog for the details of this project (via Alice and Lois). 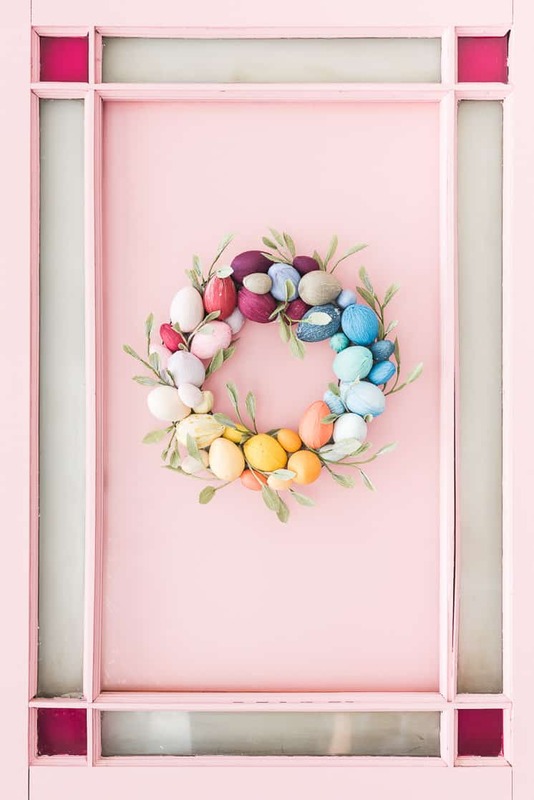 This adorable Spring wreath idea from Hallmark will add a bright touch to your front door in time for Easter. See how to make this project here. Here’s another felt flower wreath that I love. 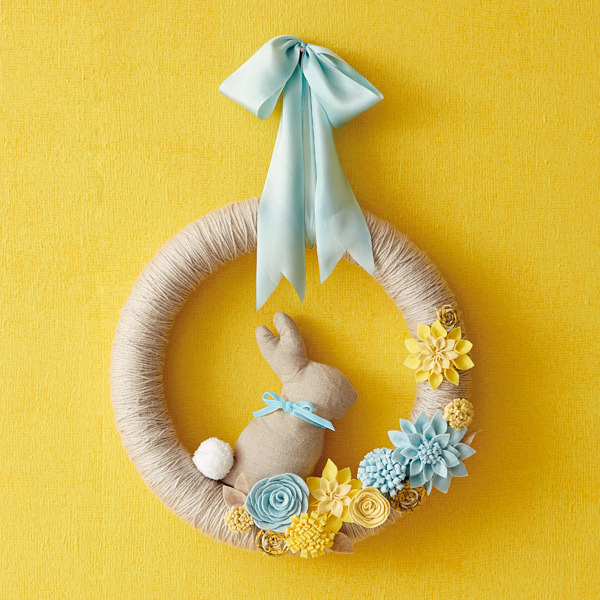 The colors are so soft and sweet -perfect for spring, plus the bunny silhouette is a simple cutout and makes the project much more doable. You can see instructions for this project here. 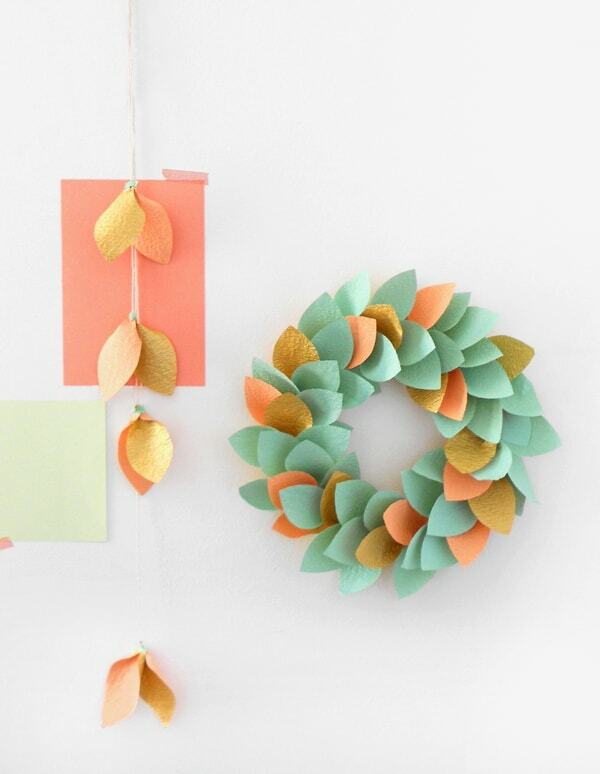 My paper crafting friends will love this DIY Spring Wreath idea from We are Scout. Crepe paper is affordable, easy to use, and comes in so many wonderful colors. 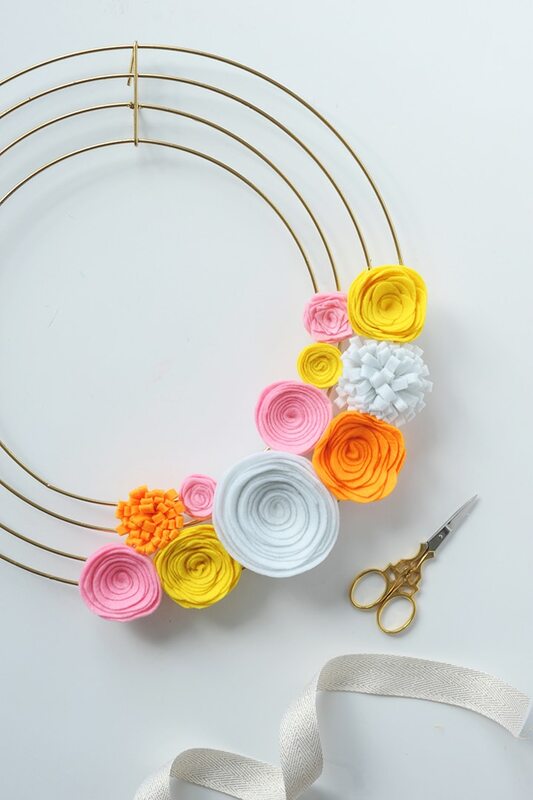 Use pinks and yellows to make this bright crepe paper Spring wreath from Homedit. Bigger in Real Life shows that there really are endless uses for paper tube rolls. 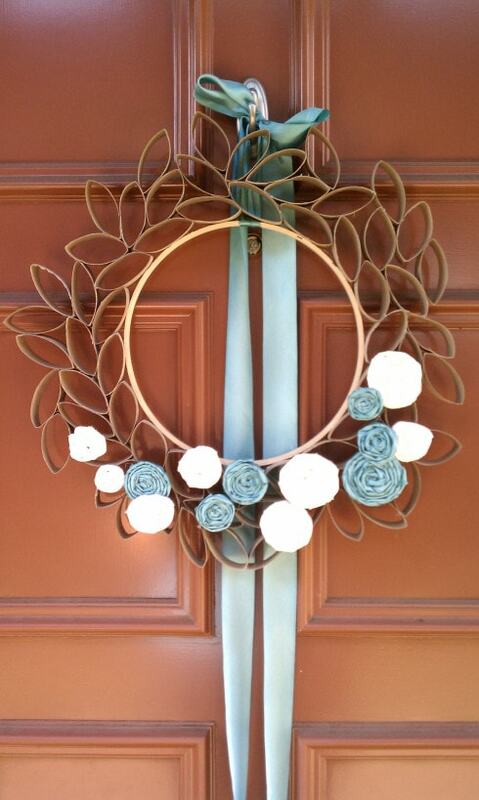 Check out this inspiring wreath she made using cardboard tube rolls and fabric. Pom poms are one of my favorite things craft. They are quick to make, fun to look at, and can be added to almost anything as an embellishment. 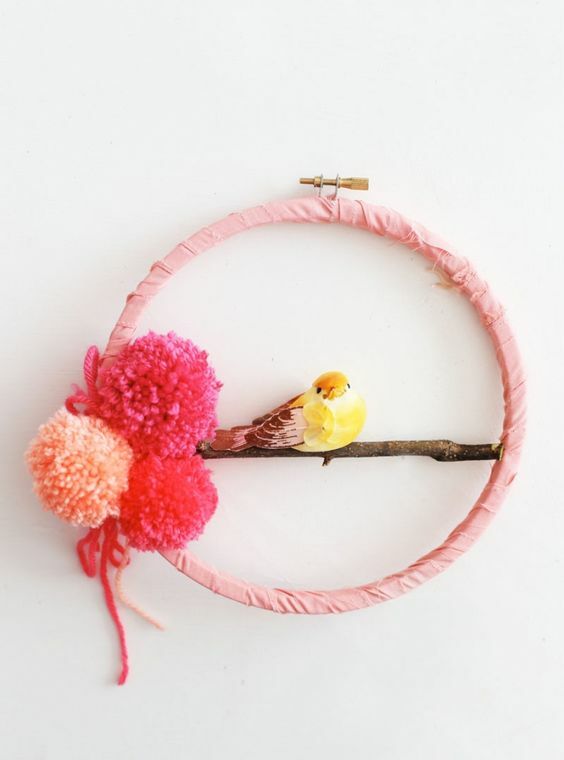 All of the DIY Spring wreath ideas in this section use pom poms in some way to add color and texture to the project. 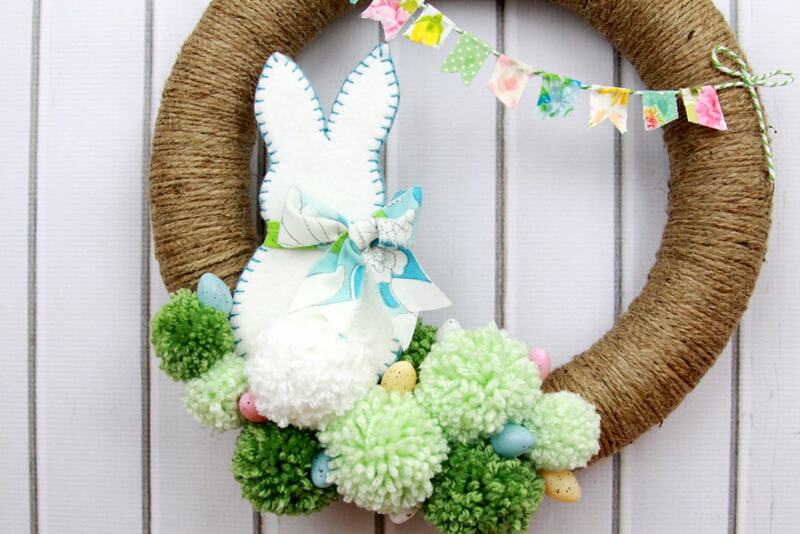 See Lil’ Luna for the details on this adorable Spring felt bunny and pom pom wreath. I am in love with this simple project from Be Crafty Workshop. Be sure to click over for more inspiration and to check out when upcoming craft workshops are. 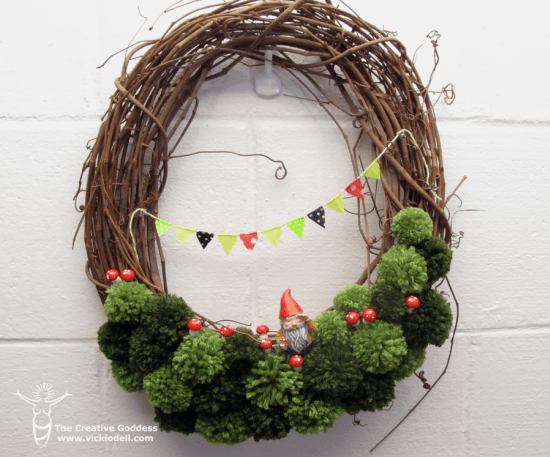 Little gnomes are coming out to play in this adorable pom pom wreath from Vicki O’Dell. 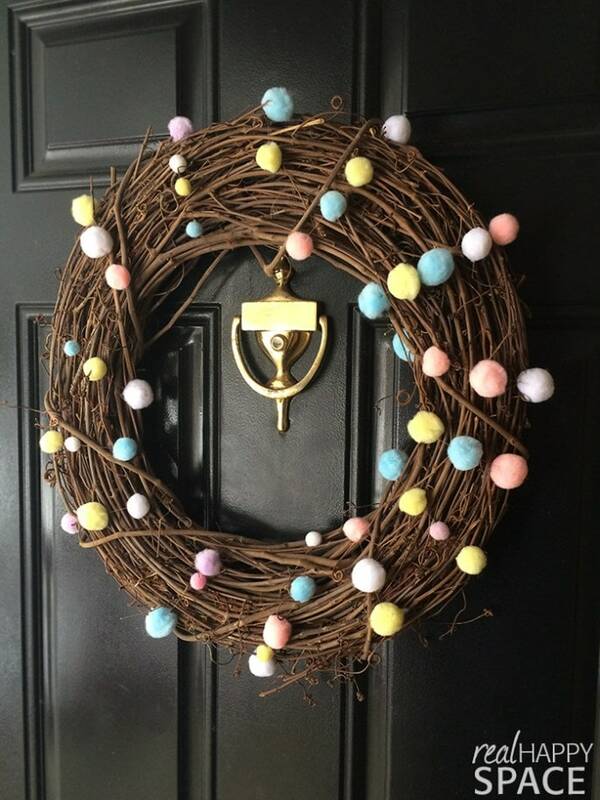 Keep it sweet and simple with colorful, store-bought pom poms and a grapevine wreath. 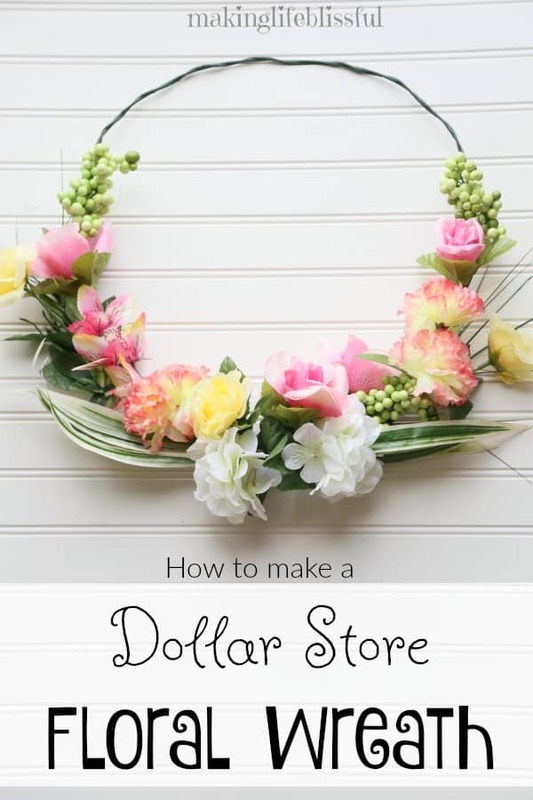 You can find the details for making this Spring wreath at Real Happy Space. 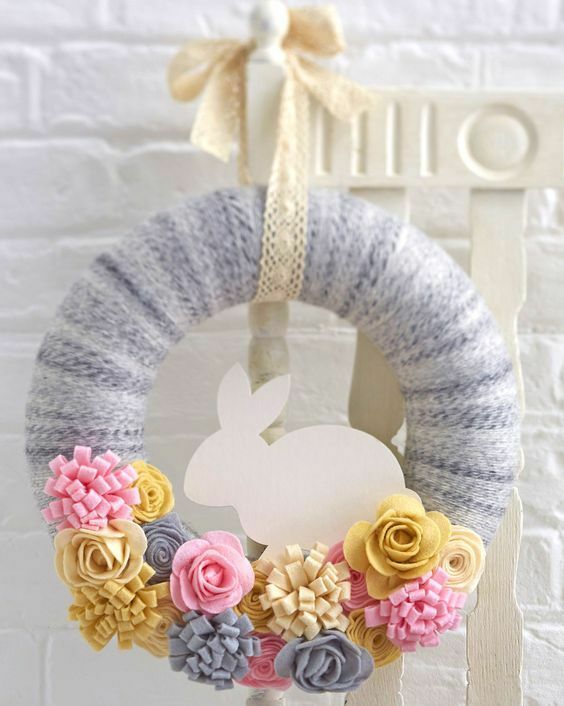 So many things to love about this wreath. 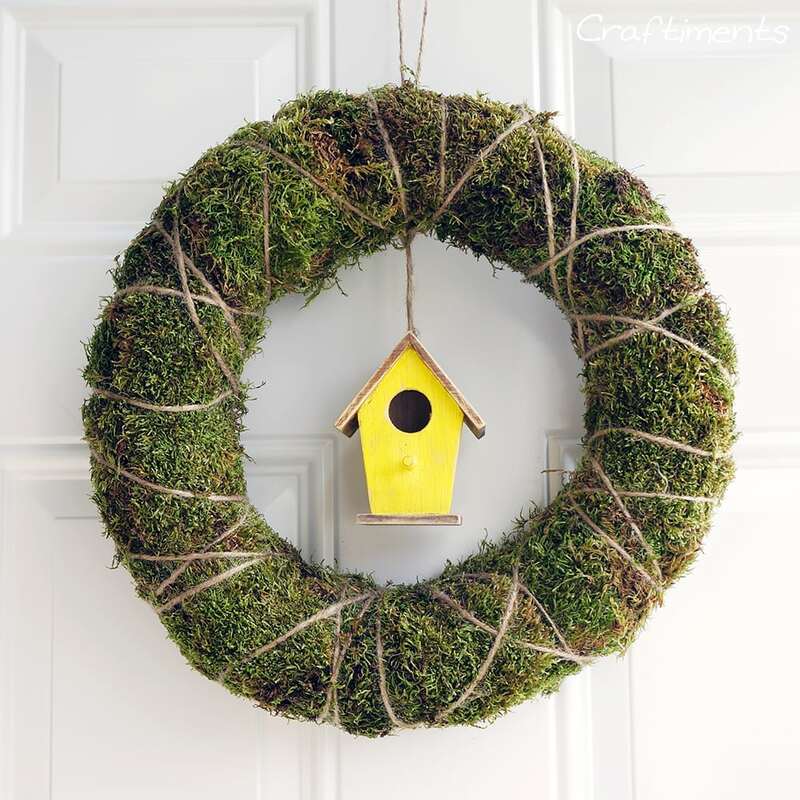 The natural moss, the bright yellow birdhouse, and how about the fact that it can be made for less than $10? You betcha! 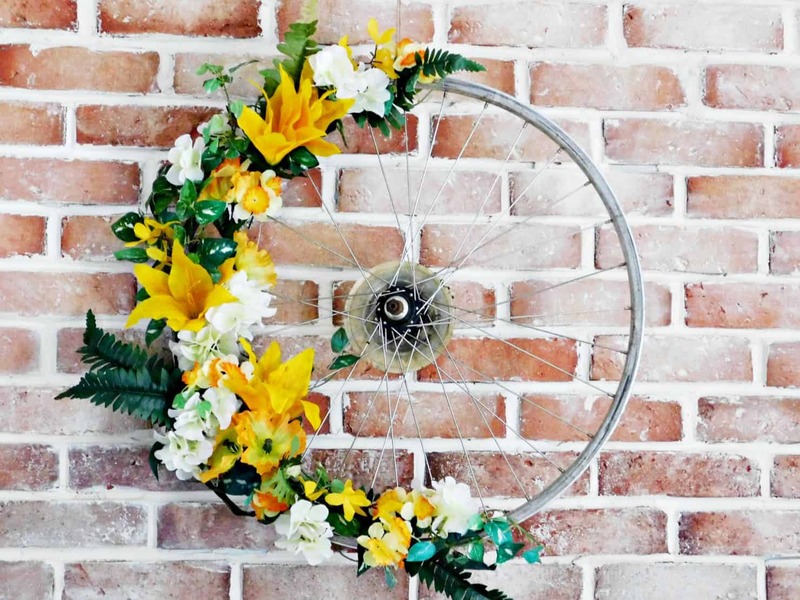 Create a happy Spring door with this lovely wreath from Craftiments. 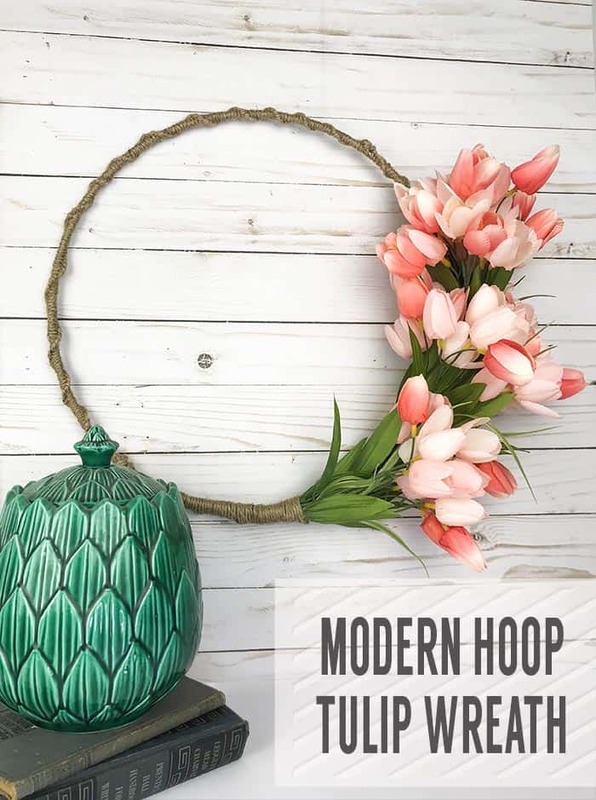 Learn how to turn a hula hoop into vibrant Spring Wreath with sprays of greenery and huge giant blooms. (From Thrifty and Chic). Don’t forget to PIN this image to share it and save it for later!